Green Hill Farm sells hostas both retail and wholesale, to hosta collectors, home gardeners, hosta clubs and other nurseries all over the world. We are online at www.HostaHosta.com offering our best hostas as well as a wealth of hosta information. We also publish a unique newspaper annually, The Green Hill Gossip and a newsletter, the “Gossip Jr., in August and November. 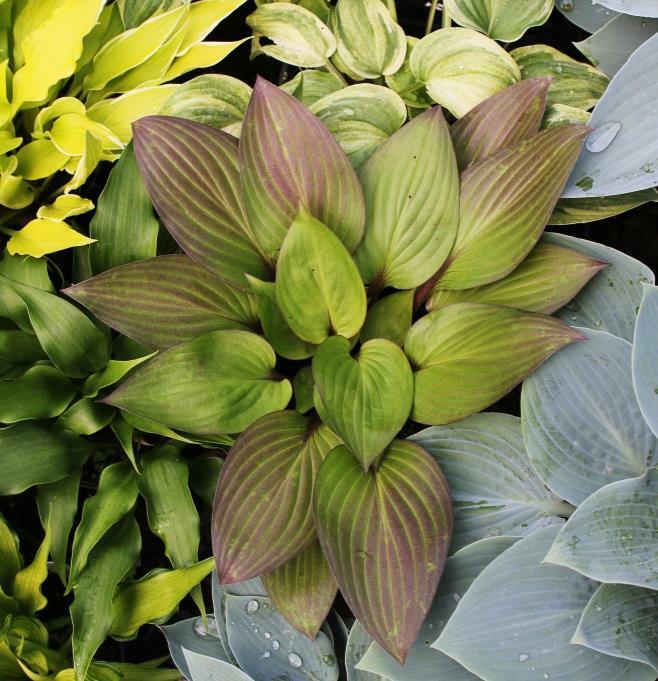 From its hosta hybridizing program, new hostas are shipped nationally and internationally to nurseries, hosta clubs, and hosta collectors throughout the year. 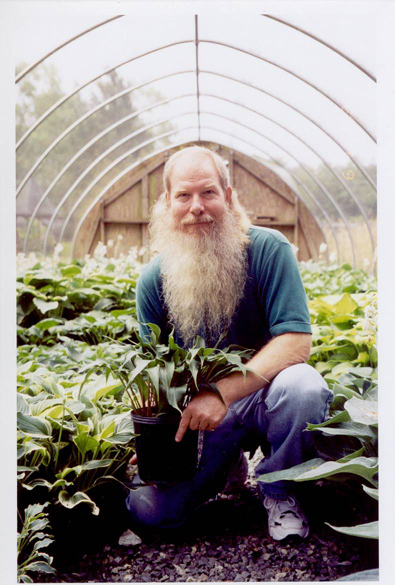 Bob has been very active in the American Hosta Society, serving as the Editor of The Hosta Journal, the principle publication of the American Hosta Society, (1988-1990) and Vice President for The Genus Hosta, (1998-2001). He was the recipient of the 2003 Alex J. Summers Distinguished Merit Award. Bob is co-founder and is Executive Secretary of The American Hosta Growers Association, (1998-2011, 2018-current), a professional trade organization for hosta nurseries. The members of the AHGA select the Hosta of the Year annually. Bob is a nationally known lecturer on the subject of hostas and writer of many articles on hostas. He has edited the “Green Hill Gossip” since 1996 and the “Gossip Jr.”, a twice yearly subscription newsletter since 2004. When the hostas are up and glowing in the garden you may find him on the road, bringing hostas and hosta stories to a town near you. Hosta hybridizing has been a passion of Bob’s for almost 30 years. In 2008 he was awarded the Eunice Fisher Distinguished Hybridizer Merit Award by the American Hosta Society for his work with hostas. He has introduced about 100 hostas to date and has plans to add five or so to that number each year. 'Guacamole', introduced in 1994 and Hosta of the Year in 2002 is probably his best known cultivar and is probably in your garden. 'Orange Marmalade' PP#16,742 is his first patented hosta and destined for a wide distribution. ‘Corkscrew’, ‘Ginsu Knife’, ‘Cracker Crumbs’, ‘Crumb Cake’, ‘Tongue Twister’, ‘First Frost’, ‘One Man’s Treasure’, ‘Smiley Face’, ‘Sweet Sunshine’ and ‘Curly Fries’ are some of his better introductions, along with some of his newest hostas, 'Ambrosia'PPAF and 'First Blush'PPAF.